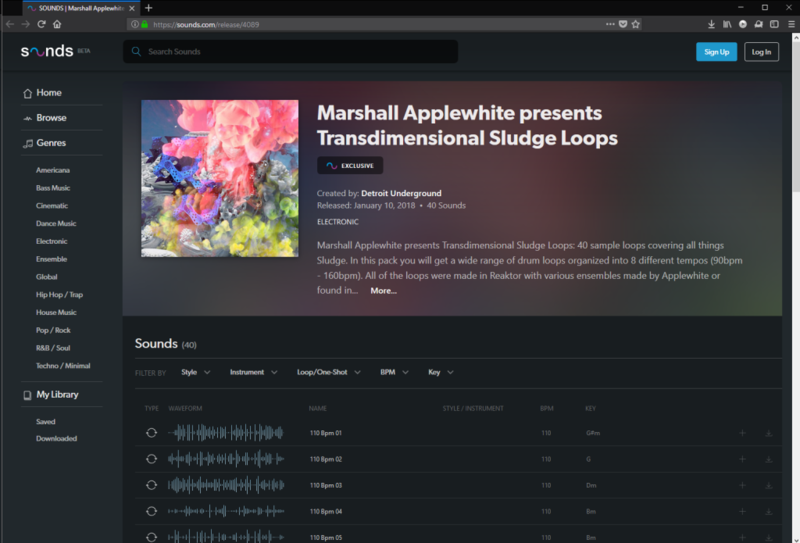 Sounds.com is a subscription-based loop and sample site – but it’s also a glimpse into Native Instruments’ future strategy for digital services for musicians. Today, NI are revealing Sounds.com – a product in 2018 that sounds like someone registered a domain in 1996. That domain name pretty much covers it: it’s a place to go get sounds, in the form of loops and samples. It’s only available as a beta in the United States now, but will roll out to the rest of the world over the course of this year. You can check out the beta now. I’ve had the chance to talk to Matthew Adell (NI’s new digital services chief) and Sunny Lee (Product Owner) about the product, and poked around the beta and sounds a bit in advance. Here’s a sense of what this might mean as a product itself, but also some of the potential to sound designers and future NI products – if the service and its underlying infrastructure are fully exploited. What’s the pitch for Sounds.com? There are, of course, a lot of purveyors of loops and sound content. But what NI’s tool here promises is a deeper, broader catalog of sounds from multiple sources, combined with better tools for searching them. You won’t see much of Native Instruments’ name on the site, and even their own products are in the background. So Maschine Expansions are there, if that’s your thing – but NI is just one of 200 providers. The Loop Loft, MVP, and Symphonic Distribution sit alongside lots of smaller shops. NI also says they’ve got a lot of exclusive content, and are launching with half a million sounds. You can navigate by genre, covering not just dance genres, but things like “cinematic,” too. You’ll see bundled releases, but also individual sounds. That could broaden the appeal here. Maybe you don’t want some massive set of Deep House or EDM loops. Fine – search for a single perfect clap one-shot. Maybe you want to explore some weird Reaktor-produced noises made by Applewhite on left-field label Detroit Underground. Or you’re on a tight TV or film scoring deadline and want to grab some unique sounding percussion. Or you just want some sounds to mangle quickly. Because it’s easy to find one-shots, and because there’s tons of sound material that isn’t genre specific, it seems likely that Sounds.com will appeal to some people who haven’t bothered with loop or sample content before. Native Instruments have talked a lot lately about reaching more customers. Here, they offer a fair amount of tools in a completely free, unpaid tier. You don’t even need an account to start poking around and previewing. But a free account nets you some selected free downloads. US$9.99 a month gets you an all-you-can-eat diet of unlimited downloads of whatever you want. (This is the US-specific one for now; the free tier already works worldwide.) Even if you cancel and re-up, those downloads reappear… just in case you have a habit of not backing up and dropping beers on your hard drives. There’s an underlying technical competency story here, though. In addition to investing over the past year in the cloud and products team, NI has been quietly over time developing in-house expertise in what’s called Music Information Retrieval. Basically, that’s the somewhat arcane research field of developing algorithms that identify sounds and metadata more clearly. This stuff has been bouncing around Europe for years, but it tends to involve stuffy academic contexts and music industry. The twist here is, some of that “MIR” business can turn out to be, well, fun and useful to you and me. NI tells CDM these algorithms are sharp enough to analyze the difference between a closed and an open high hat. With a bunch of other built-in intelligence about metadata and tagging and the like, this could mean you actually find the sounds you want. We’ll need some time to test that, and because an online service like this both develop over time and can learn from additional data, it’s something that may well evolve. Lots of familiar sound design houses and artists are there – here’s the legendary Hank Shocklee, who’s been a continuous inspiration in technology for us. Sounds.com is quick and easy enough that I imagine this could be a huge amount of fun. I’m not a huge fan of soundware, and even I started thinking of how to use this. Hello, Maschine Audio device. What does this mean for sound creators? Native Instruments, particularly through their flagship sampler KONTAKT and more recently their NKS format, have always been a platform and reseller for independent sound designers. Now, they actually have a working online platform to do that. 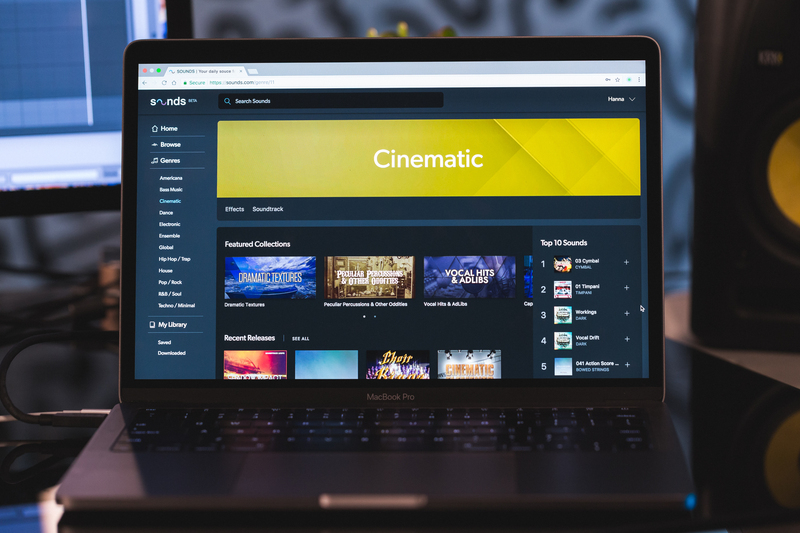 NI are promising creators a fluid means to upload and manage their content, as well as a potential commercial opportunity. The subscription model I imagine could also be disruptive if your business model was based on the à la carte release approach, but we’ll also have to see if these two models reach different customers (and accordingly supply different kinds of content). Consuming sound content for production also isn’t quite the same as consuming albums for listening, even if the buy/subscribe model here is a parallel. Also, NI say their longer range plan is to provide an open API, also suggesting new developer integrations in music products not made by NI – first to select partners later this year, and then more broadly as they collect user and developer feedback. What’s the bigger picture at Native Instruments? Sounds.com has developed over the past year under the leadership of NI’s new “Chief Digital Officer,” Matthew Adell. Adell has experience at Napster and Amazon – and at Beatport. During his tenure, Beatport launched their Sounds section, which then saw explosive growth. Now, the important thing here is, yes, there’s the specific product Sounds.com – but there’s also the team that built it and the plumbing they created to make it work. Adell confirmed to CDM that this is just a beginning. More left-field and independent creations show up here, too. Here’s Detroit Underground with Marshall Applewhite. That’s an important story, as well, as it means this service is about NI’s ecosystem of sound creators, not just the sounds from NI themselves (though those are there, of course). 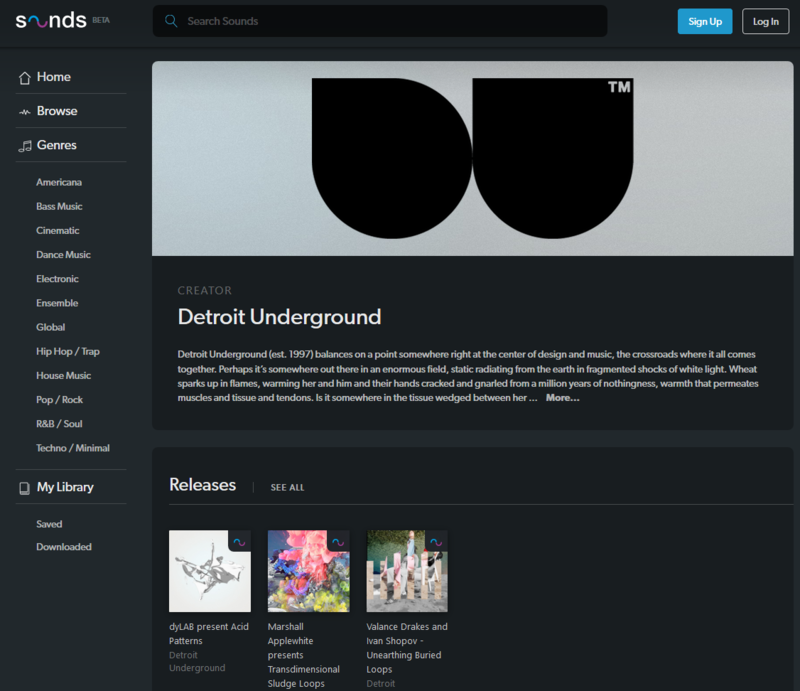 In addition to releases, you can find sounds individually, by collection, or here – again with label Detroit Underground – by provider. There’s no navigation to find them directly apart from search yet. I hope that’s the case, because it could make the experience of using NI software significantly better. Let’s back up and consider the user. We’re already essentially using NI as an online service provider, it’s just that they don’t behave much like one. You’re a producer, and you’re using Maschine and Komplete. Right now, not even all upgrades and sound content are available in Native Update. Buying and upgrading is … well, complicated. And then storing and accessing your own sounds is often a chore. Cue points in Traktor that show up everywhere? Well, now there’s plumbing to make that happen (this appeared briefly in an iPad app, then disappeared right as we said we liked it). I’d love to use sophisticated sync and MIR technologies to locate and share my sounds and parameters. But it remains to be seen whether this modern approach from the online team in Los Angeles will be able to wrangle the complex web of different products and code that a lot of us use in Komplete and the like. Sounds.com is recipient of some of the recent funding NI acquired, but its gestation started before that funding, NI say – so we’ll see how this unfolds later this year. Pro software and especially hardware products have much longer development cycles, so expect some of these fruits to appear later. In the meanwhile, this is an encouraging step – and you’ve got some sounds to play with. Readers point to some of the services they’re using now. Splice Sounds is a leader in the subscription area – and they’ve got a head start, with some of the bigger loop/content providers missing here, and some two million sounds to NI’s half a million (at launch). They also integrated third-party presets independent of vendor, which NI aren’t doing, and while they may lack some of the sophisticated retrieval research NI has, Splice does have easy drag-and-drop tools versus NI’s basic download function. Noiiz also do unlimited samples and loops for a monthly fee, and like Splice they also add presets for synths. A plug-in is available as interface, so you’re also more integrated with your DAW. And they’re promising a sampler and “Instrument Suite” (though not saying what the latter is), though time will tell whether users are willing to migrate from their existing tools of choice just for more integration. 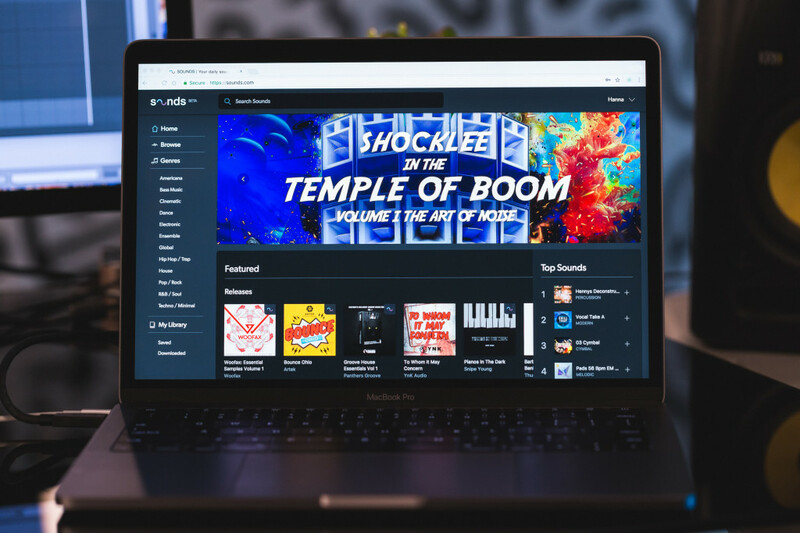 Loopmasters have offered their own cloud service, Loopcloud. Noiize and Splice look really powerful. Basically, it seems NI excels at search, whereas Noiize and Splice offer more paths to browsing. And NI has some catching up to do on sound – and we don’t know what their integration story will be. But I’ll say this for NI: I have to wonder if the simplicity of focusing on sounds is actually an advantage and not a liability. Integrating effects and presets may seem appealing on the surface of it, but most instruments and effects have good tools for managing presets. It’s usually a matter of going out and finding additional samples (loops or one-shots or whatever) that they’re lacking. This space is evolving fast. I hope to talk more to Matthew – partly because I’m interested in the larger digital picture at NI, not just this particular product – and I’m very interested to hear how you use these competitors.